The craftful musings of an Irish girl. It was quite a lot of left over card that I knew I wanted to use up fairly quickly or else I’d just leave it sitting around for ages before getting bored of looking at the patterns on tossing them in the bin, so I did the wise thing and did actually use the card. I used the card to make cards. A shocker, I know! Yeah, it’s nothing too creative but it’s always satisfying using things up, isn’t? None of the cards I made are particularly clever or complicated but they look good – admittedly that’s not to do with me and more related to just how gorgeous the Wanderlust card pack is. So, I ended up making 6 cards from what I had. It doesn’t sound like much. I’m sure I could have made a lot more cards if I’d come up with some designs that use pattern card more sparingly but that’s not what I was going for. I was making cards from scraps and just having fun so I didn’t feel the need to be thoughtful about making things last as much as I could. Four of the cards are that same sunburst design that I wanted to try out (makes for a really nice card and great way to use patterned paper!) while two of them were just me looking at some of the pieces of card I had left over and playing with the square and rectangle shapes. Those two were made from leftovers of leftovers but even so, they still look quite good (thank you gorgeous paper!). As I said, I probably could have made more cards but instead of making more cards, I decided to decorate the envelopes instead because it’s something I haven’t done in a while. I need to show more love for my envelopes! But yeah, I really enjoyed making these cards – it was just a nice, relaxing day in the craft room cutting a load of card and then taking my time to pick out patterns and rearrange things. These were nice and easy cards to make, especially making multiple cards so I do believe the sunburst idea might go on my shortlist for card design for Christmas…we’ll see! I just like how it’s a good design for mixing several patterns and colours. There’s a lot going on with all those patterns and colours but they work with the design (also, using designs from the same pad so they are meant to go with each other I guess). I have more leftover paper from cards than I know what do to with, but good idea….just spend a day or so making cards out of just that paper until it’s all used up! By the way, your cards look great!! Thanks! Yeah, it’s so easy to build up a huge stash of paper and be like ‘what do I even do with all this!’ but spending a day in the craft room with scraps can be quite relaxing as you don’t have as much of that stress of wasting and making mistakes with the good paper. It’s not just Christmas paper 🙄 At the rate I actually use patterned paper I probably have a lifetime’s supply… I keep saying I won’t buy any more but they’re just so pretty!!! Haha, same, it’s just so easy to buy and there’s so many good paper pads out there! The sunburst card design doesn’t actually use that much paper but considering how it looks but it is definitely a good way of breaking into lots of different patterns. What a timely blog! Thank you! I am prepping for projects – pre-cutting stuff etc and have a bunch of scrap already. Was racking my head what to do. Thank you for the sunburst design idea! Haha, what good timing then! 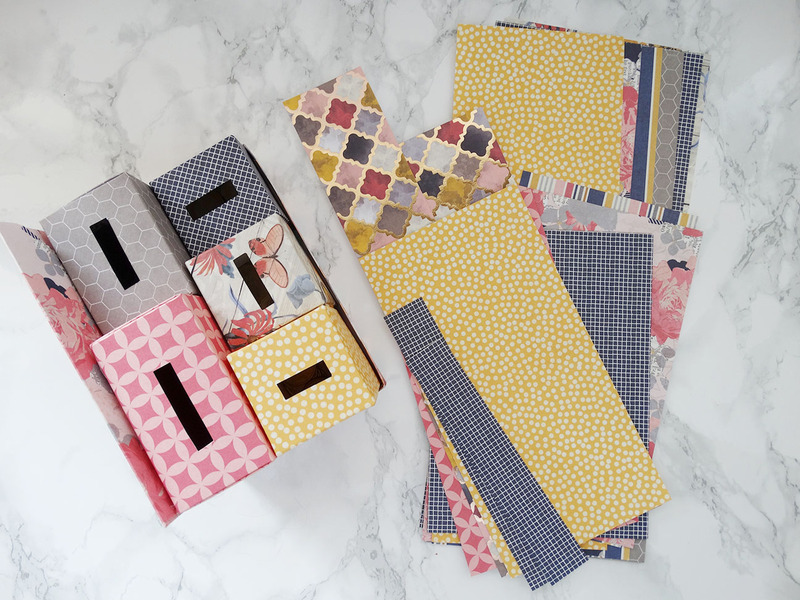 Glad I could provide some inspiration and I hope the sunburst design works out for you – it’s a nice one for mixing lots of different pattern scraps and you really don’t need very much for it! These are so pretty! I love the sunburst designs. 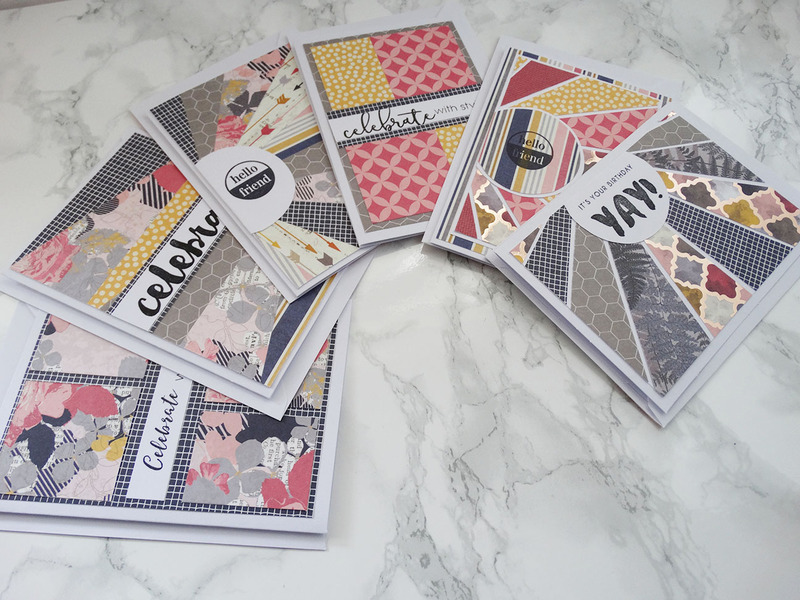 Hi there, I'm Emma - an Irish girl who blogs about crafts, snail mail and planners. Feel free to pull out an umbrella and join me by the puddleside.